Are you replacing it as a replacement part as a regular replacement item for vehicle inspection and maintenance? 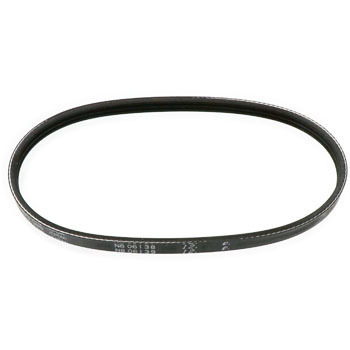 The genuine product is very high as a belt, and the car inspection maintenance total amount jumps up because your company This item of treatment is cheap and performance is not scarlet. I am glad. This review is about item#27829804. Purchased as a regular replacement part. The manufacturer's stable product, we are satisfied with the price. This review is about item#55006044. This review is about item#27830906. As the belt of the private car made a noise After ordering, I replaced myself I can replace it quickly and I am satisfied. This review is about item#55006202. It is a staple of classic goods. Let's use some good ones. This review is about item#27829463. This review is about item#55006193. I was able to purchase it because it was easy to use and it was easy to use. This review is about item#27829944. It is perfect for monetary value. I will exchange it immediately. I will also purchase it. This review is about item#27829917. I usually use the T300, but I bought a slightly shorter T295 as I packed between the pulleys. Installation is complete without problems, there is no sound etc. I think I want to replace it once it gets degraded. It is safe because it can be used with the same feeling as the manufacturer genuine products. This review is about item#27826636. It is for life of JC1, but there is no setting on the 3-star belt and it's chosen. I used it for the first time. I carried out work on how to stretch considering initial elongation There was no other problem. However, if there is size setting I am a three-star belt I would like to use. I changed the belt of the car, but it did not suit the supposed belt for the ordered vehicle. As expected, it is a first-class manufacturer's drive joy and there is nothing to say. The price was reasonable, the quality was very good very much. Since it is a manufacturer item for car maintenance, there is not any worry. This review is about item#55006184. It is safe because it is made by Drive Joy which is equivalent equivalent treatment. Moreover, it is delightful to be offered at a cheap price. This review is about item#27830547. When replacing the water pump, I replaced it at once. As it is a consumable item, it will be saved because it arrives cheaply and quickly.